A hilarious farce featuring spirited yet sentimental pirates, a handsome but confused apprentice, an aging nurse maid, a very beautiful girl and her gaggle of very beautiful sisters, an eccentric Major General and a squad of bumbling but zany policemen, The Pirates of Penzance is a comic opera in two acts by Arthur Sullivan and W.S. Gilbert. Also known as The Slave of Duty, the opera tells the tale of a young man named Frederic who leaves the zany band of pirates he was raised by to find true love and respectability. When the Pirate King turns up to call on an old debt, Frederic must choose between the girl he loves and his sense of duty. 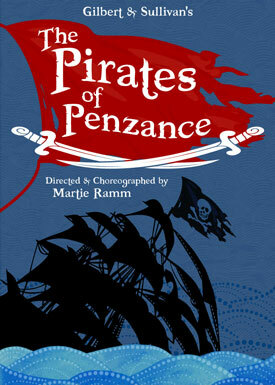 The Pirates of Penzance continues to be the most entertaining of the operettas by the famed Gilbert and Sullivan.